These improvements to make investment in Indonesia continue to grow from time to time. Indonesian governments expect to have smooth execution for import and export. 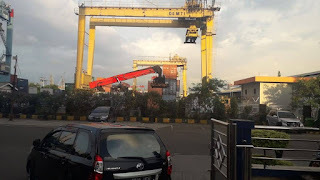 Infrastructures in all over Indonesian has been build and also improvements in exchange for EDI system/PPJK transfer in import and export has been execute quite well..
Herewith the procedure to make company for foreign investment in indonesia. You must make NIB-Nomor Induk Berusaha , the Identity Number include for SIUP,TDP,API-U/P and Number ID customs OSS-Republik Indonesia. All imported goods entering Indonesia must go through import procedures through Indonesian custo- ms and excises in accordance with Indonesian government regulations and subject to customs and other taxes,import charge, related to import unless specifically exempted from the law. Search and find it custom broker ( PPJK/Electronic data Intechange system company ). If you had find it then send copy of documents that I had explained as above ( invoice, packing list etc ). If you are agreed with the draft then the data will be transfer into indonesian custom and excise through insw.go.id portal. 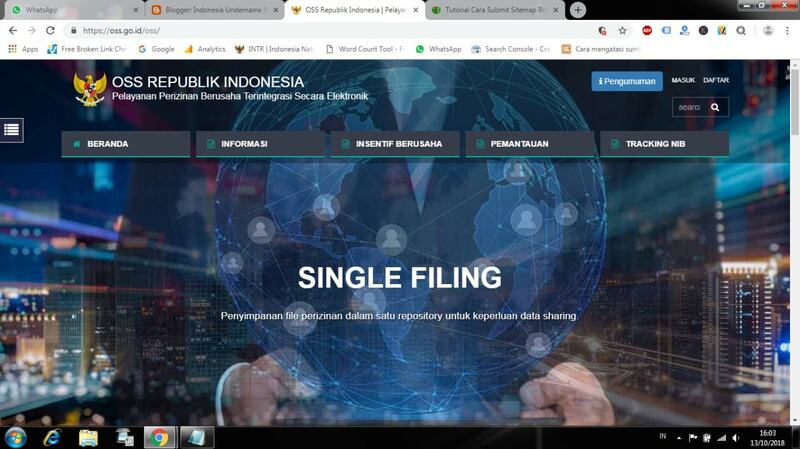 insw.go.id portal will respond and issued e-billing ( request to paid tax from Indonesian government through Indonesian custom and excise ). Paid e-billing through bank appointed by Indonesian government. Collect original documents and if being requested by custom, you can handover it through your forwarder/custom broker. After tax payment, you will another respond from the system in the form of , green, yellow or red line respond. I will give you outline for each respond.. If your company get the green respond then your company will get SPPB ( Approval from custom to release the goods ). then they will release green respond but if custom judgment your invoice value is under value then they will issue correction note means you must paid additional tax. Read more :Door To Door Cargo,Singapore To Jakarta,Airfreight And Seafreight. After survey report send into the custom office in charge to verify the documents they will issue either green line or INP. 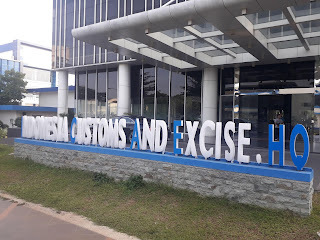 If their analysis your goods and price is match with custom and excise guidance then they will issue green line but if their analysis your price is under value then they will asked for INP ( Inkrah custom value ) through custom broker/ EDI System Indonesia called in indonesia Modul PDE Internet PIB Dan PEB Export & Import Bea Cukai. You must handover copy PO along with INP/DNP , better if you also attached your payment copy or original. If your documents is correct and genuine then custom officer will issue green line or if they thinks there is mistake on your goods data or under value then custom officer will issue correction. . If you had correction note then system will send to you e-billing correction note then you will paid additional tax import of your goods. After you paid at the bank then within one hours you will get green line respond. after getting green respond then you need to take out the container immediately from custom are since in custom area or in Container yard at the seaport they will charge you based on multiple charge for storage charges/Penumpukan biaya containers. For DO (Delivery Order) documents it will be available after you paid at airline cargo company or shipping freight forwarder international company in indonesia..
Ok, it means finished for import goods at custom area in indonesia. How about if I want to export to overseas ?? How about for the export documents process in Indonesia ?? Search and find it custom broker ( PPJK/EDI System ). insw.go.id portal will send respond NPE ( Export approval note ) or PPB ( physical checking for goods / physical checking respond is very rare except for the goods that has been arranged by the government ). After ypou received NPE then you can send the cargo into custom area. Is it easy to export general goods in Indonesia ?? How about if I want to export but my license is under progress ?? You can use undername import service for export and import. You may search it at google. All the procedure and rules will not much different. It will be better if you make indentor agreement to make your goods is safe and legal. Import goods into Indonesia is simple if you follow import rules that has been organized by our government. If there is prohibited and restriction in import rules as per HS code from Indonesian government, then you must get the license first before you send the goods from origin country. Export is more simple in license and execution of data transfer through EDI System Online. If there is prohibited (Lartas such as certificate of inspection,PI-Persetujuan Impor) and restriction then you must get the license first. After you get the license then you can send the goods with the procedure as I explain in above.. 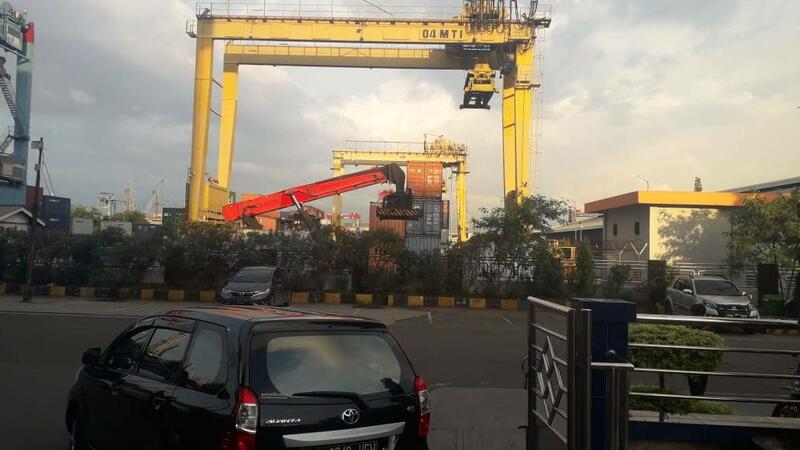 So, are you interest to invest import export company in Indonesia ?? I hope your business is success in here..
0 Response to "Indonesia Import custom clearance procedure with Nomor Induk Berusaha (NIB)"